Ikea has harvested and served its first “home-grown” lettuce as part of a year-long trial exploring how food can be served more sustainability. The Swedish furniture giant is growing lettuces in containers outside its department stores in Malmö and Helsingborg, Sweden, working alongside circular farming expert, Bonbio. Each container conceals a high-tech growing operation comprising 3,600 lettuce plants in an area of 30 m2. The container has four levels and is full of different sizes of lettuce. The seeds are sown in batches, so there is always lettuce available for harvesting. No pesticides are needed during the growing process because the farming takes place in a closed system. 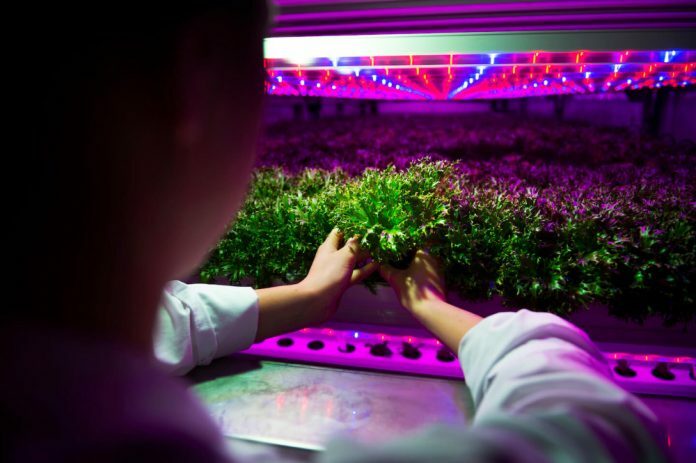 The lettuce is grown hydroponically in water containing liquid plant nutrients extract from organic waste – including food waste from Ikea’s restaurants. This, Ikea said, means the lettuces require 90% less water and less than half the area than those that have been conventionally growth.